How does a nonprofit like Friends of Burlington Gardens become a success? Of course, there are grants and other benefactors to help the organization monetarily, but I believe the real glue of an organization like this is the volunteers. I got a phone call from one of the coordinators from the FBG in the short days before a children’s workshop event, with a last-minute request to assist her with one of the activities. I agreed to come, and helped with a workshop where kids made incredible fruit and vegetable sculptures (and snacks). From what I could gather, most of the adults in attendance were volunteers with little experience or familiarity with the children’s mini-conference. Each group of children that circulated through our workshop came with one or two volunteers. Most of the time, these volunteers looked exhausted – especially in contrast to the excited kids – and half of the volunteers left during the workshop, perhaps using the time to recuperate. These volunteers were generally younger women who, perhaps like me, were looking for a chance to do volunteer work while getting exposure to children’s activities and anything remotely connected to nutrition or local foods. I got the feeling that these volunteers had never helped out for this event before since many seemed unsure about the time allotted to each workshop, and because many of these volunteers seemed somewhat uncomfortable improvising activities for the antsy children who finished their food sculptures early. This is an example of how FBG (and the associated organization who created the children’s mini-conference) rely heavily on volunteers to make their events a success. FBG certainly has a core of volunteers who regularly offer help at events such as these, but other volunteers may be recruited through networks with related local organizations. For instance, the local food cooperative allows its members to receive discounts by volunteering with FBG. The organization is always in need of more volunteers. I helped out at the office today and felt guilty leaving because there were more tasks to complete, and, sure enough, before I left, I was coaxed into helping at another event this weekend. The volunteer is essential to this organization’s survival. But is it only because they are a body completing a task? Absolutely not! If you can think of a similar nonprofit in your hometown, try to imagine for a moment how that organization would differ if run only by a full-time staff of the same five or six or more people. How would that organization differ from how it was run when maintained by only one or two staff members plus a steady flow of volunteers? What are the benefits of each of these scenarios? To what extent is the community’s connection to the organization lost without the volunteer? I would argue that the steady flow of volunteers who help FBG are the foundation to its mission to serve and interact with the community. This is how I was introduced to Sandra, the author of a new memoir of life growing up on a dairy farm. Sandra is a retired schoolteacher who now spends her time with her hobbies: writing and taking photos of gorgeous farmland in Vermont. I met Sandra at the Seed Starter Workshop a couple of weeks ago during my volunteer hours with Friends of Burlington Gardens. She grew up on a conventional dairy farm as a kid, but, without my making any remark about conventional versus organic, she was quick to denounce conventional practices, citing the use of DDT during her youth as the cause of her cancer. Enough about Sandra. This post is not actually about her. It’s about how she was introduced by one of the coordinators of the workshop. I cannot get the words out of my head. The tone of Sandra’s introduction implied that the woman was a celebrity. It was as if the purpose of attending the Seed Starter Workshop was not to honor the gardener within each of us, but instead to admire those who had already ‘been there.’ Yes, there is wisdom to be gained from the older generation of farmers and I respect this, but that was not how this appealed to me. This was trendiness: Sandra’s presentation implied “cool”-ness. This was meant to validate her among a room of young, rugged gardeners and avid foodies, and it implied we were all proponents of the same local food trend – er, I mean, movement. Community gardens, farmers’ markets, and small-scale food production have always had a home in ag-friendly Vermont, but now these practices are becoming more mainstream. For some, purchasing local food from farmers’ markets is trendy which hopefully won’t fall out of fashion any time soon. For others, it’s an expression of personal values. Many of us fall somewhere between these extremes. Is it worth being bothered over why we all end up supporting the same food movement? Seed Starting Workshop: For All Ages? 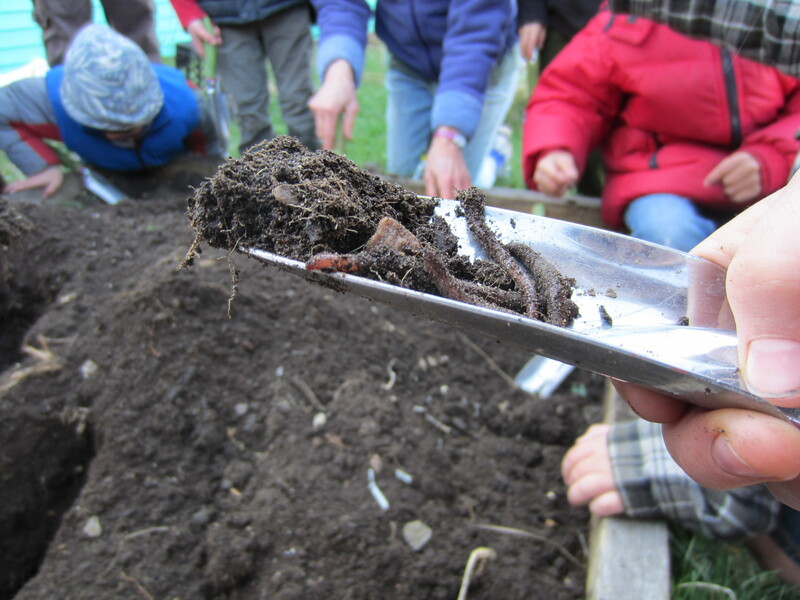 In anticipation of warmer weather and softer soils, Friends of Burlington Gardens (FBG) hosted its first annual seed-sprouting event to get kids ready for spring gardening. The event was conveniently held at the same time as the neighboring winter farmer’s market, but it was an awkward juxtaposition to see plots of soft summer grass, a badminton net, and a lemonade stand in the drafty basement of a municipal building. This Saturday was my first time working with FBG, and my job was to help kids plant seed starters in small plastic drink cups. I introduced myself to my host, and then was promptly put to work setting up a workshop table with the plastic potting cups, labels, a watering can, soil, and a few dozen seed packets. I worked the earlier half of the event, when traffic was slowest, but I helped about 8 or 10 kids plant their soon-to-be fruits, vegetables, and flowers. If I were stranded on a desert island where I committed the rest of my life to teaching kids how to make their seed starters, and I only could bring one kind of seed… I would bring watermelon seeds. These seeds are big and easy to tuck into a soft bed of soil, and kids loved the idea of growing this juicy fruit. Whenever a child was too shy or quiet (or distracted by badminton games) to pick a seed, I pushed the Moon and Stars watermelon seed. Although some of the very youngest preschool-aged kids needed plenty of direction and were rather timid, the older elementary-schoolers dug into the project with little hesitation. At one point, three girls were planting their seeds together and making their own tags (which they all labeled with their names, rather than the plant’s). The girls planted 2-3 starters a piece and followed the reading instructions on the plant packages with me. Many of these girls must have planted starters before, I thought. How could this be such an intuitive process to them? Sure, Mom helped some with directions, but the kids piled soil into their potting cups and dropped in seeds without asking many questions. I thought my job would be more about directing shy children all day and prodding them to try planting, but it was just the opposite: I had trouble keeping up with watering the plants for kids as they finished up! I suspect most adults would be much more timid to create starters, out of fear of making a mistake, maybe burying a seed too deep in the dirt or spilling too much water into the cup. These children, on the other hand, had no fear of mistakes or the knowledge they lacked. 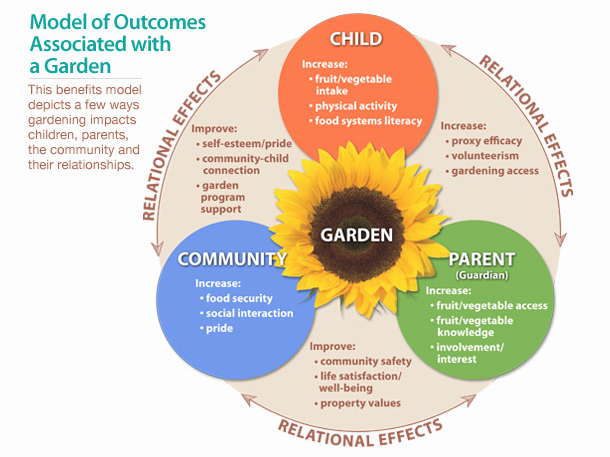 At what age do we decide gardening is only a task for the master gardener?